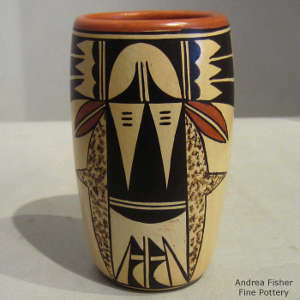 Most cylinders I have seen come from Hopi-Tewa potters. It's a form they have used for more than 100 years, possibly derived from their interpretions of ancient Sikyatki and Awatovi shapes. 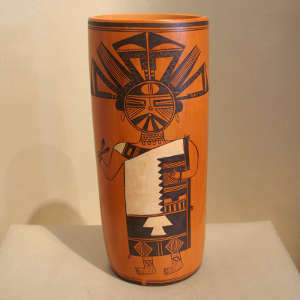 Some Santo Domingo potters used to produce umbrella stands for the tourist trade that were similar to today's Hopi cylinders. 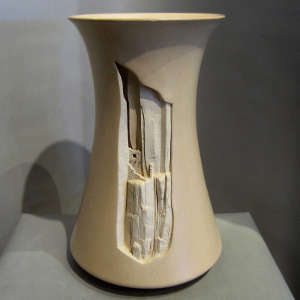 The form has been revived by potters like Robert and Thomas Tenorio. 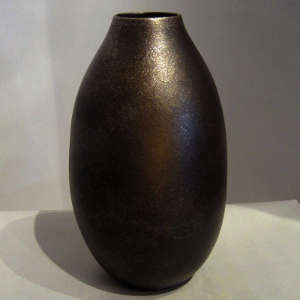 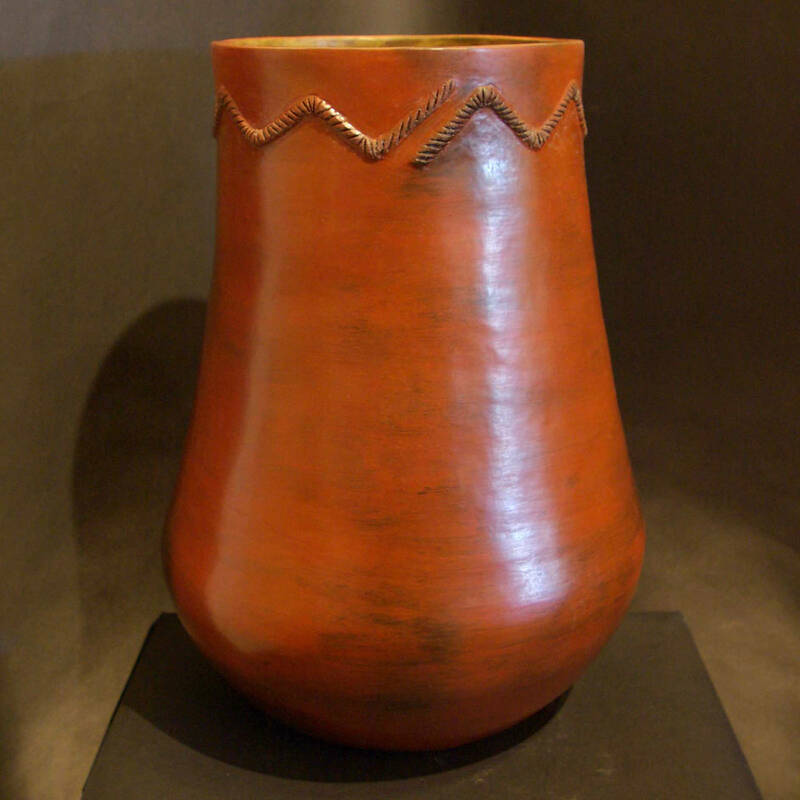 Rose Williams was famous for her large, brown cylindrical pots, many of which have been used to make drums. 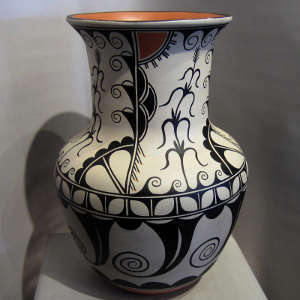 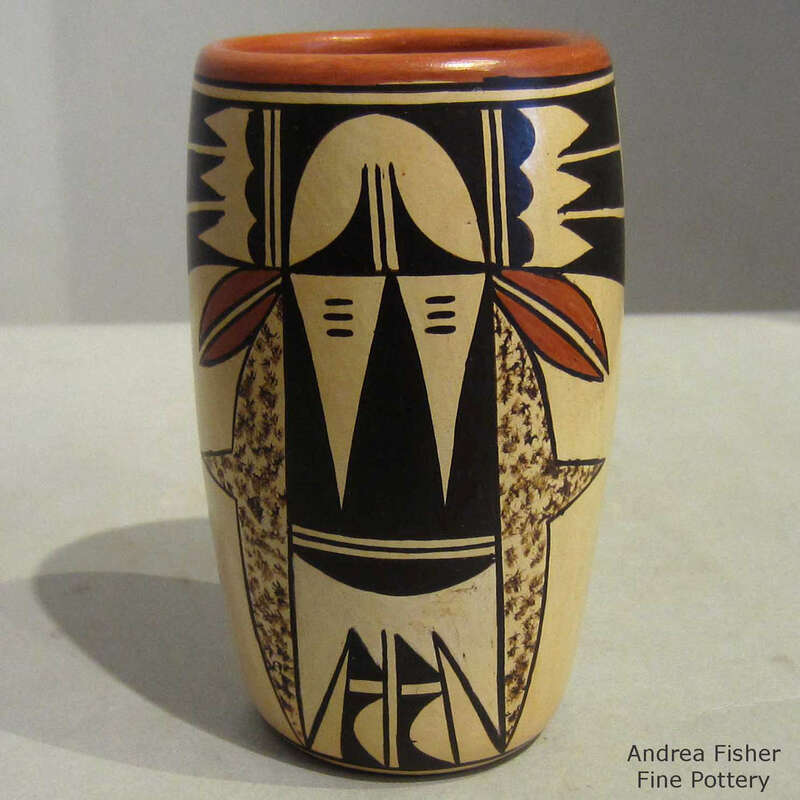 Diego Valles of Mata Ortiz has also produced some pure cylinders (most Puebloan cylinders have bottoms while Diego's don't: they are thin-walled, beautifully carved and exquisitely painted tubes).